As you drive around town, what do you do when you see an emergency vehicle on the side of the road? Hopefully, you’re abiding by the Move Over laws that are in place. At Lithia Reno Subaru, we want to make sure everyone knows what they are. In the span of a decade, over 130 law enforcement officers were killed because of being struck by a vehicle when they were in the line of duty. The Move Over laws are in all 50 states as a way of protecting officers and first responders. 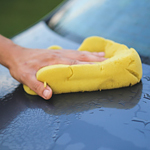 Washing your car does more than preserve its appearance. It also rids your car of irritants that ruin its paint, finish and undercarriage. We here at Lithia Reno Subaru want you to be the most informed car owner possible, so we offer the following heads up. Want to get the ultimate shine out of your tires? The one thing that you have to remember is that a garden hose or pressure washer can really make the difference. You want to be able to spray away the grime and dust from your vehicle’s wheels. When you have a lot of caked on tar and debris, you’ll need more power from your water source. Have you ever been driving along when suddenly something strikes your windshield? You don't know what it was or where it came from; you only know that it left a chip in your windshield. Unsettling though it may be, the staff here at Lithia Reno Subaru wants you to be aware of what to do if you're ever in this situation. If you are wondering what goes into the ratings of the LATCH evaluation, we at Lithia Reno Subaru are willing to let you know the criteria of the evaluation. As a matter of fact, we are willing to show you the exact factors that are going to meet the criteria of the vehicle. The criteria that influences the evaluation of the LATCH include location, the hardware, the force needed to connect the seat and plenty of other factors. While it may be possible to successfully the child seat without the LATCH, it can be a lot harder. If you’re planning on traveling by car with your pets, we at Lithia Reno Subaru have a few tips for you. There’s no reason why you can’t take a dog or a cat on a road trip with you. Simply focus on ways to keep them calm, comfortable, and safe. All modern vehicles come with new sensors and cameras, especially after 2015. These vehicles are now equipped with other driver assistance features, such as traffic alerts, lane departure assist, and blind spot monitoring. Wouldn't it be great if you could drive knowing where every car was around you? Blind spot monitoring gives you that peace of mind. When you have an especially large vehicle, blind spot monitors can come standard. While they are not required like rearview cameras, most SUVs, vans, and trucks have some kind of blind spot monitoring. If you've had your eye on an SUV but your budget doesn't meet its price tag, the less expensive crossover may be give you plenty of the same advantages at a lower cost. At Lithia Reno Subaru, we consider crossovers very good vehicles with big advantages delivered in a smaller package. The crossover combines the comfort of a sedan with the functionality of a full-sized SUV. The newest models are designed with more interior space than ever before, enabling you to transport more passengers and cargo that the earliest crossover versions. There are different things to be gained from having an infotainment system in place in your new vehicle. This screen between your two front seats can offer much to you as the driver and it can also be useful to your passengers. An infotainment system can entertain you and everyone else in your vehicle. If you are looking to listen to music, this can help you do that in a number of different ways. Your infotainment system may allow you to stream music from your phone or it may give you access to satellite radio. Which Tire is Best Suited for Your Needs? Knowing the difference between a compact temporary tire and a full-size spare tire is very important for your safety. There are quite a few differences that you should know and understand between these two types of tires. A full-size spare tire will actually maintain the aesthetics of the vehicle you drive. This means that in the event of a tire disablement, you may not have to travel to a repair shop or dealer to have the issue fixed. On the downside, you need to have adequate space to store the full-size spare tire in your vehicle.